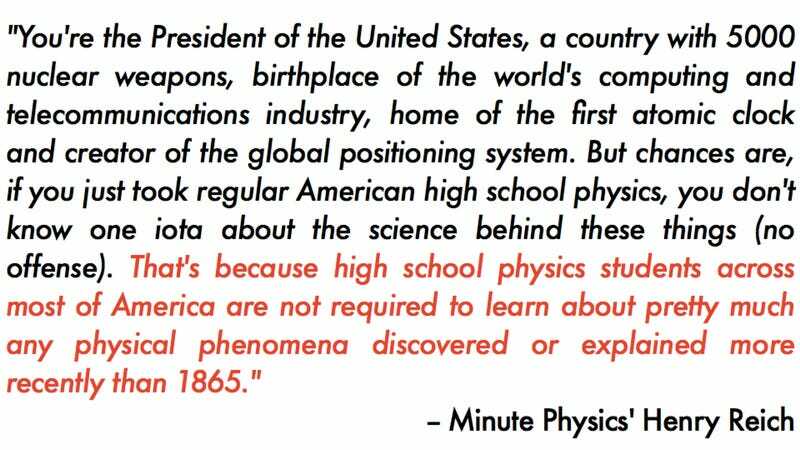 An Open Letter to the President: US physics education is crap. Let's fix it. Henry Reich — creator, illustrator and narrator of Minute Physics — has a message for the President. America's educational standards for physics, he argues, provide a surprisingly dated and incomplete introduction to the world of physics. A lot has happened in the field since 1865; shouldn't some basic knowledge of that progress be made a requirement in our nation's curriculum standards?